Before humans arrived some 700 or 800 years ago, Banks Peninsula was forested from side to side and from top to bottom. In February 1770, when Captain James Cook and his naturist Joseph Banks sailed past the southeast bays of the Peninsula (they called it Banks Island), they described wooded valleys but “bare” (tree-less) summits, ridges and headlands. We know now that the tree’ess areas resulted from burning by Polynesian (Māori) settlers during the preceding centries. A century later European (Pākehā) settlers were burning the remaining forest. Native tress have by no means vanished, though. Precious remnants of old-growth forest persist, and there is widespread vigorous regeneration of “second-growth” bush. The Banks Track traverses both. Thus while the continuous old-growth forest of the past is gone, a richly diverse native flora still thrives. In all, about 500 species of native trees, shrubs, herbs, grasses, sedges, rushes and ferns can be seen along the Banks Track, plus many introduced species, now wild, not to mention a multitude of mosses, liverworts, lichens, fungi and algae. Species as different as tussocks and palms, beech trees and bull kelp, tough twiggy shrubs and delicate white flowers, soft ferns and spiky Spaniards, everywhere fascinate the observant walker. Some of the way you walk on open pastures, a mixture of native and introduced grasses and herbs. Tussocks are native grasses and sedges growing in distinctive bunches up to a metre or more tall. Abundant dense, springy, tiny-leaved, twiggy shrubs, all looking very similar, actually belong to about 30 species in 16 different plant families. A third of them belong to a genus called Coprosma which is related to coffee! 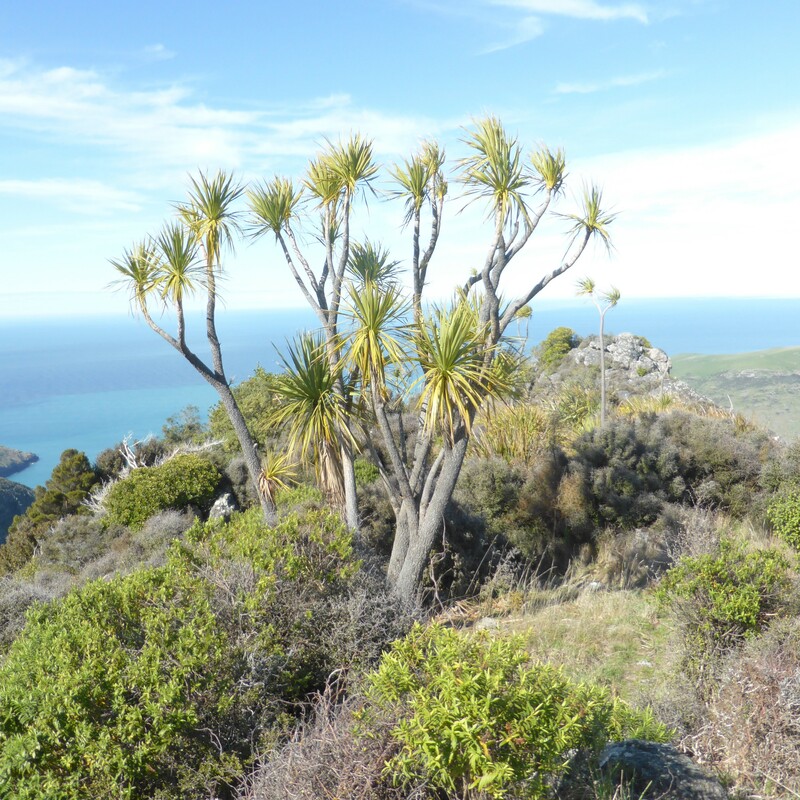 In this southeast corner of Banks Peninsula some fifteen notable plants reach their natural southern limit. For example, the Track passes close to two nikau palms just down valley from the lower most Flea Bay waterfall. Kawakawa (an understory shrub with heart-shaped leaves, closely related to pepper) is especially abundant in the Flea Bay Gully. Other species at their southern limit include the trees titoki and akeake, the glossy-leaved native passion vine, and several ferns. The huge sea cliffs are one of the strong holds of the Akaroa Daisy, (a handsome Celmisia unique to the Banks Track area). 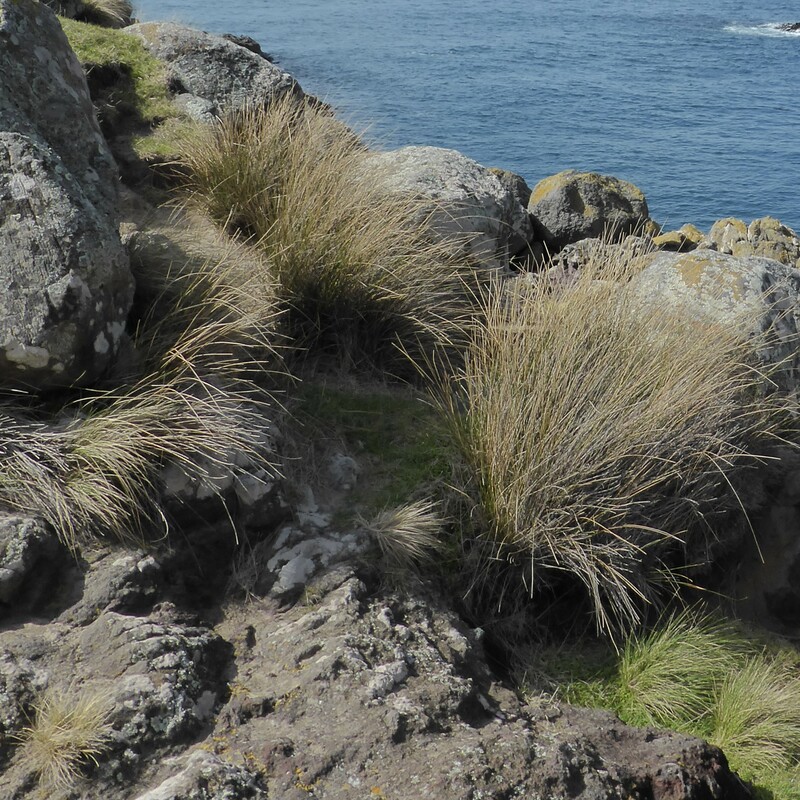 Palm-like cabbage trees, sword-leaved harakeke or NZ flax (Phormium) and big tussocks of toetoe (Austroderia – similar to the South American pampas grass) are distinct features of the landscape here, as elsewhere in NZ. This southeast corner is also the only part of Banks Peninsula where native beech trees occur naturally. Res beech, with larger (not very large though) tooth-edged leaves, is much more common than black beech, with smaller, smooth-edged leaves. 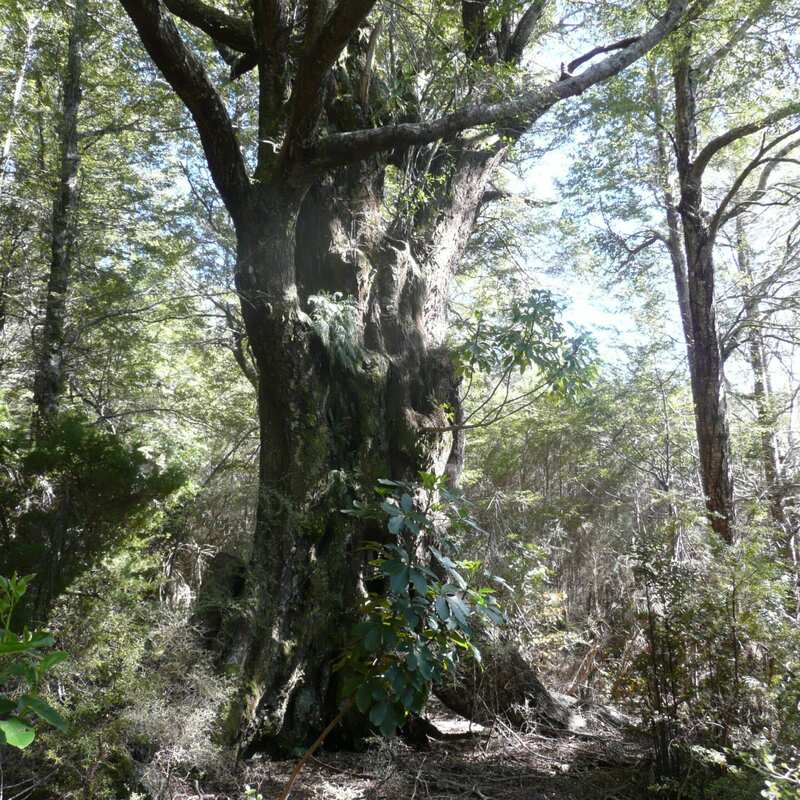 The Banks Track traverses magnificent red beech forest in the upper parts of Flea Bay and Stony Bay valleys, where the trees are several hundred years old and up to 30 metres tall. Lower down, New Zealand’s tallest native tree species, kahikatea, is represented by a few surviving adults where once there were hundreds of thousands. There are two fine specimens near the lowermost Flea Bay waterfall. These, and other podocarps matai and totara, are regenerating in the recovering forests. Much of the regenerated forest along the Banks Track is of kanuka, sometimes called tea tree because the aromatic foliage makes a pleasant hot drink. There are also extensive areas of much more diverse mixed hardwood canopies, especially in the mid Flea Bay gully and in Forks gully. 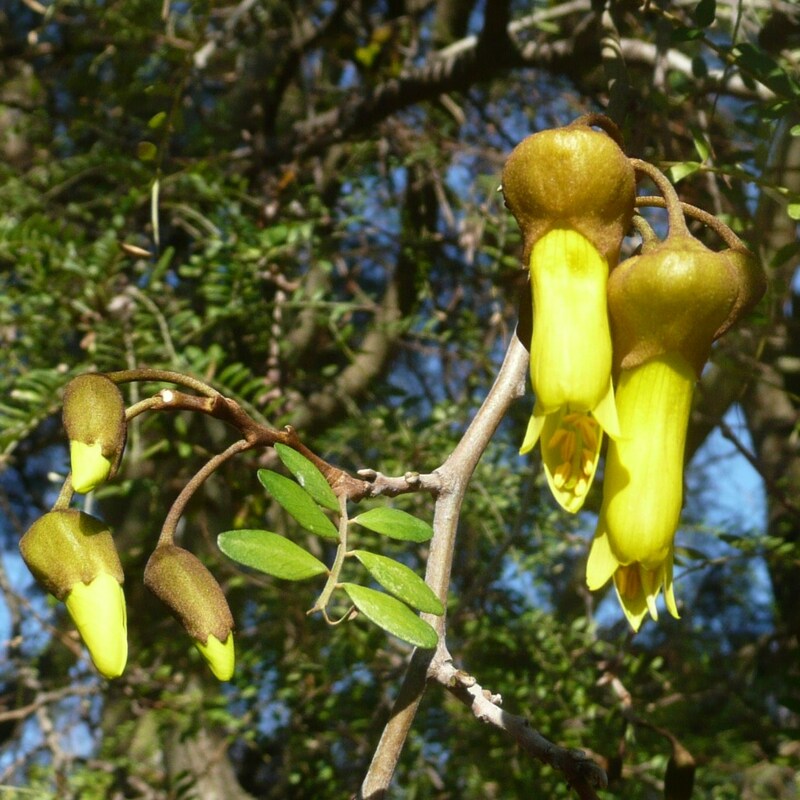 Many of these native hardwood trees have pleasant-sounding and descriptive names in Māori and English, such as māhoe (whiteywood), tree fuchsia, fivefinger, sevenfinger, lancewood, kōwhai, ngaio, pigeonwood, lacebark, ribbonwood, broadleaf, kaikōmako, putaputāwētā (marbleleaf), lemonwood, tutu, wineberry and karamū. 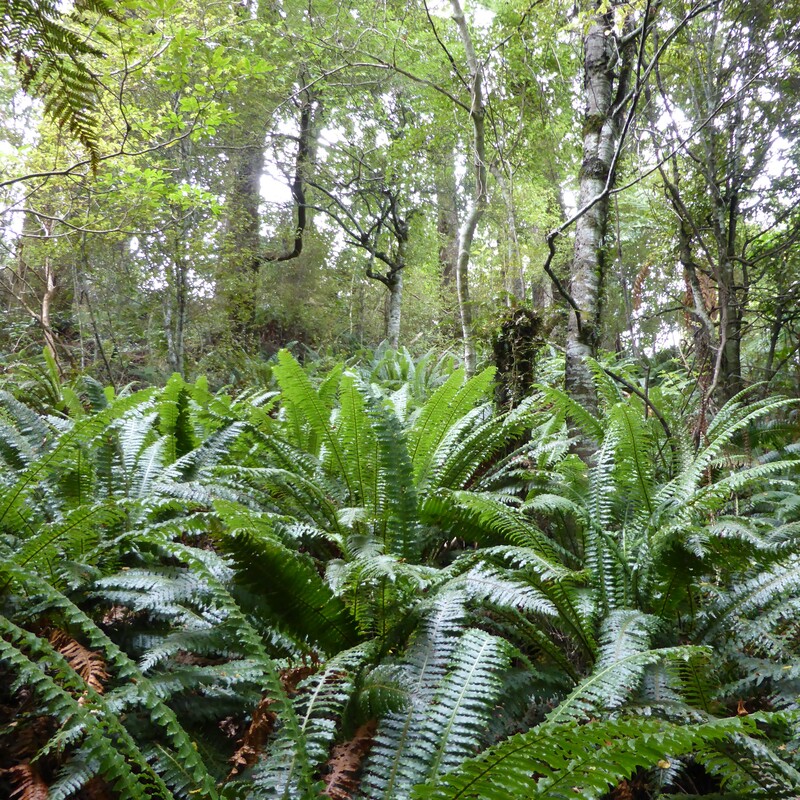 Five species of tree fern flourish along the Banks Track, ranging in size from the smaller rough tree fern or whekī (Dicksonia squarrosa), to the huge palm-like mamaku (Cyathea medullaris). In the upper stony Bay valley watch out for the related mountain cyathea, like a soft-leaved tree fern which never develops a trunk nor a skirt of dead frond stalks. At the very top of Stony Bay valley the steep gradient suddenly relents where Ōpātuti Track meets horizontal Tara Track. Here is distinctive sub-alpine vegetation of snow tussock (Chionochloa rigida), turpentine scrub (Dracophyllum acerosum), and mikimiki (Coprosma dumosa). In midsummer the banks are brightened with small white flowers such as Forstera, Ourisia, Anaphalioides and Raoulia, along with some modest native orchids. Later in summer look for the white fruit of snowberry (Gaultheria) and the orange-fruited dwarf mountain heath. There is one plant you should not touch: tree nettle or ongaonga (Urtica ferox). 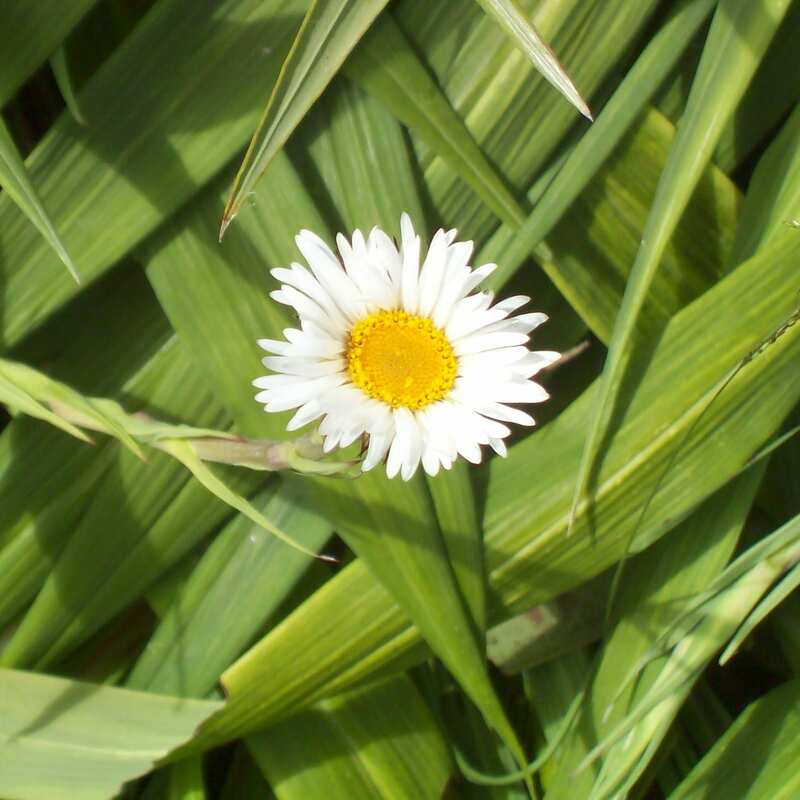 It has pale green, ragged-edged leaves covered in white hairs which inflict a painful sting on contact. This is not a major problem for most people, and is a bonus for the red admiral butterfly that breed on the ongaonga. Westpac Rescue Helicopter, Banks Peninsula Conservation Trust, Akaroa Health Hub, Duvauchelle A&P Show, Lions Club of Christchurch and the Akaroa Volunteer Fire Service. © Banks Peninsula Track 2016. NZ's original independent track - established 1989 - 100% locally owned and operated.